AKIPRESS.COM - The mystery surrounding a mummy discovered in Basel, Switzerland has had some questions answered. 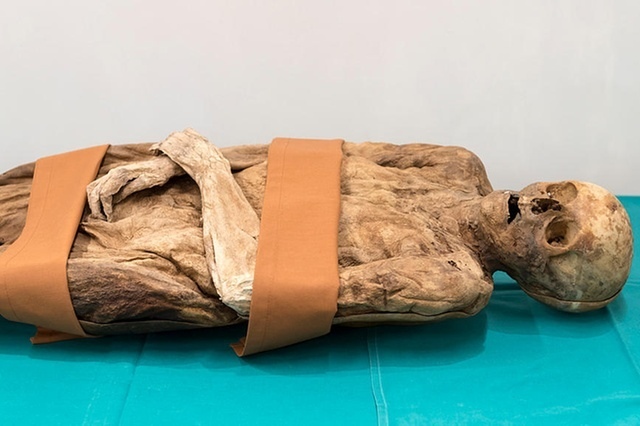 For decades, the mummy has puzzled researchers, but now Basel Natural History Museum have found that she has ties to Britain. Specifically, her great-great-great-great-grandson is the UK Foreign Secretary Boris Johnson, NT reported. Her body was riddled with mercury - a standard treatment for syphilis from the late 15th to the 19th century. Researchers say the discovery is thanks to a DNA comparison of tissue with her descendants. One of them is 89-year-old Rosemary Probst-Ryhiner, who provided a saliva sample. On being related a 230-year-old mummy, she said: "You have to get used to it first. It's a shock at the beginning." The mummy comes from the Barfüsser Church, where it was discovered 43 years ago during excavations. But since records of the tombs of the church were missing, nobody knew who was buried at the site. After months of research, volunteers landed at grave number 105 and the name Bischoff. It was then they started their search for a living descendant. However it took two years before anthropologist Gerhard Hotz finally solved the mystery. "It's great and it's also a scientific sensation," he says.